Dogs can behave better with others. 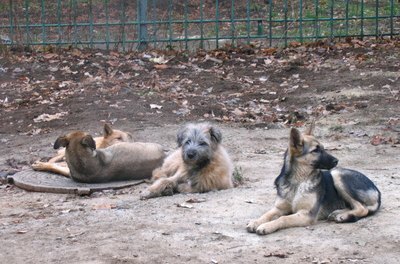 Dogs are pack animals; they enjoy being around others. Some miss having companionship so much when their humans are away that they bark incessantly or become destructive. A dog can benefit from having another pet in the home, in the right circumstances -- it all depends on the pets' temperaments and the household situation. Some dogs exhibit improvement in their behavior and overall demeanor once another pet is introduced. Observe your dog with other dogs. Take your dog to a neutral site where there are only a few other dogs. Dog parks are good places to meet other dogs. North Shore Animal League of America advises that you keep your dog on a leash when initially meeting other new dogs, so you can maintain control of the initial meeting. Once your dog exhibits friendly behavior toward other dogs, let him play with other dogs freely at a dog park and observe his behavior. 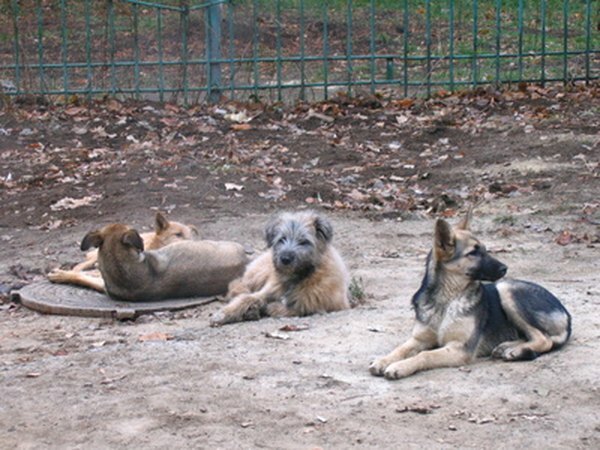 Some dogs do not enjoy the company of other dogs and spend their visit to the dog park close to their owners; this would indicate a lack of interest in socializing or an overwhelmed feeling due to the other dogs. If your dog displays aggressive or fearful behavior with other dogs, it is best to get professional training before considering bringing another dog into the home. Identify the cause of your dog's destructive behavior. Many owners assume a dog that fails to housebreak or chews the furniture is exhibiting separation anxiety. According to the Humane Society, bringing another pet into the household won't solve a separation anxiety issue because it is the separation from the human, not another pet, that is causing the anxiety. A respected veterinarian can determine whether your pet is suffering from separation anxiety or a medical problem that is causing the bad behavior. It is important to establish the cause of the destructive behavior in order to treat it properly. Some dogs are simply bored. According to Cesar Millan, boredom is a cause of destructive behavior. Keep your dog busy physically and mentally with games, companionship and socializing; this well-behaved and out of trouble. Train your dog. Dogs learn from each other both good behavior and bad. According to author and trainer Kathy Diamond Davis in her Canine Behavior Series, anxieties and aggressive and predatory behavior can spread from pet to pet. Until your existing dog is thoroughly trained to respond to commands, to behave appropriately and to potty in designated places only, it is unwise to bring a new animal into the home. Good behavior reinforces good behavior, but a badly trained dog can undo all the good training of another dog. To ensure both dogs are well-behaved, it is crucial to train your initial pet first before bringing a new dog into the home. Evaluate your needs. Can you afford another pet? Do you work long hours? If your pet is alone for many hours of the day, and it is financially feasible for you to add another pet to the household, it may be worth considering the benefit a live-in friend will give your dog. It is important to ensure that you and your family can accommodate another pet and the responsibilities associated with the addition. It can grieve a pet to lose a friend, so make sure you evaluate your options thoroughly so you don't end up having to give the new pet away. Modern Dog Magazine: Do Dogs Need Canine Friends? Dog Breed Info Center: One Dog or Two? Sharon Harleigh has been writing for various online publications since 2008. She specializes in business, law, management and career advice. Harleigh is a proud graduate of UCLA and Loyola Law School. How do I Calm a Dog During Thunderstorms Without Medicine or Pills?